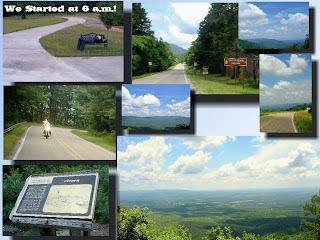 A 500 mile run in the mountains. 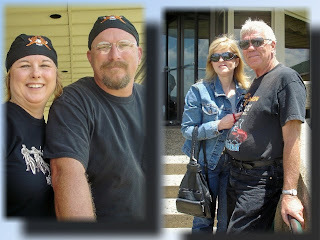 The best way to relax is to get on the back of a Harley and just ride with good friends. 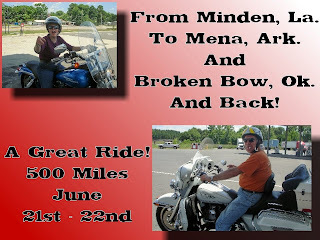 We started out at 6 a.m. on Saturday morning June 21st headed to Mena, Arkansas. The weather was perfect and the roads were g reat! First big stop was a spectacular mountaintop setting. 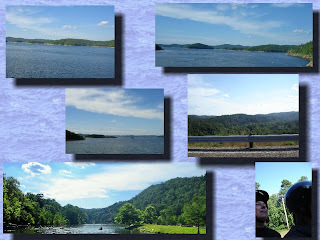 With breathtaking panoramic scenery we pulled over a few times for photos. 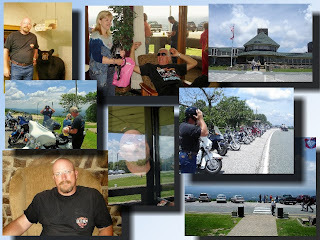 Queen Wilhelmina State Park is this, and more. 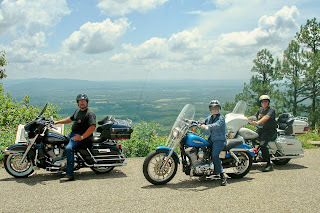 The park's crowning attraction is a renowned lodging tradition born with the original "Castle in the Sky" that graced this same lofty locale high above the Ouachita Mountains over 100 years ago. Today's Queen Wilhelmina Lodge features 38 guest rooms. This is all high atop Rich Mountain, Arkansas's second highest peak. 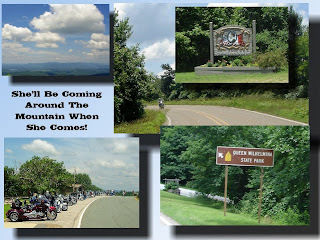 Next we headed out over The Talimena Scenic Drive this is a Scenic Byway offering 54 miles of spectacular views and incredible scenery. 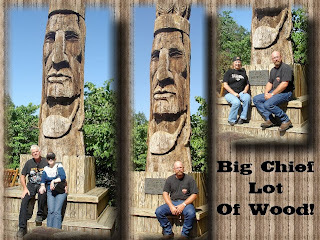 It is also the crown jewel of an entire region full of fun things to do for families, sportsmen, adventure seek ers or anyone that enjoys nature's incredible beauty. 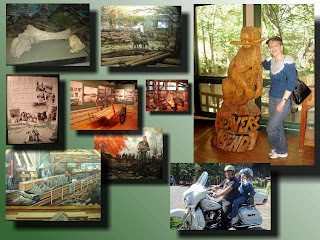 Our destination is Beaver's Bend and Broken Bow, Oklahoma. 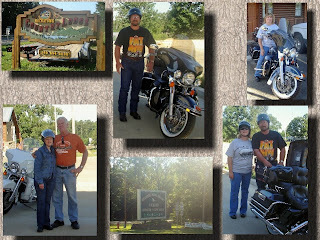 We made it around 4:00 and got checked in then headed over to Beaver's Bend we visited the Heritage Museum and art show then made a cruise around the dam to a great place call Abendigo's Restaurant. 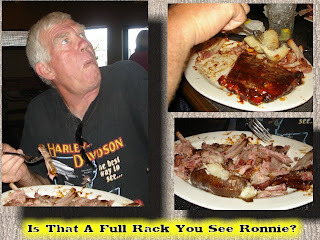 Ronnie and Danny ordered the full rack and it was a huge plate of RIBS! The next morning was still great weather and we charted our route back home. We made a small detour and boy are we glad we did. 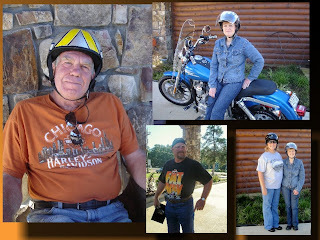 We planned on taking the Sunflower trail in Giliam and Dixie. 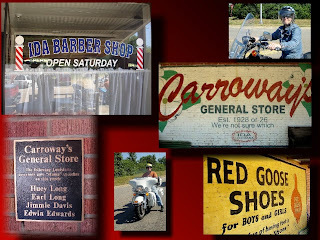 We stopped at Carroways General Store and Restaurant in Ida, Louisiana. 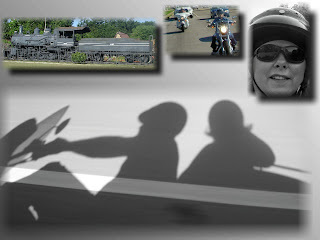 We have now found a new GREAT place to take a ride to. 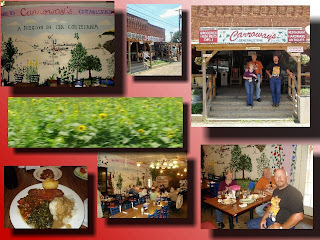 This is an old country store and the food is out of this world. Just my type place built in 1928 it is full of antique items and lots of history and atmosphere. They also have bands on the weekend. 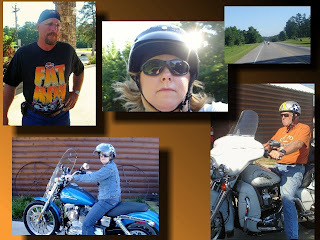 We were a little disappointed in the sunflowers they were not bloomed out yet but the road was also the kind I prefer the "Road Less Traveled" We made it back before 3:00 and are already looking forward to our next ride!